What Margaret Atwood calls ‘an essential window into many of the hazard-strewn worlds younger women are living in right now’ propels a new publisher to success. In the space of nine months, the independent Scottish publisher 404 Ink has gained extensive media coverage and an endorsement from Margaret Atwood for its Nasty Women anthology of essays on womanhood today. 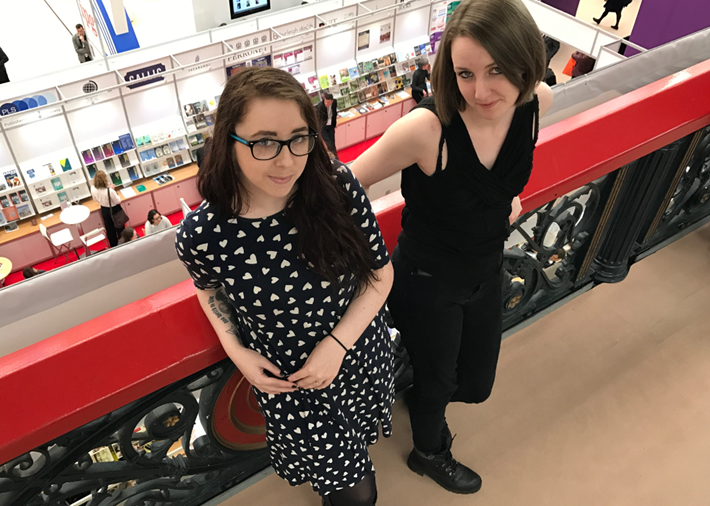 Publishing Perspectives spoke with 404 Ink founders Laura Jones and Heather McDaid at last month’s London Book Fair. Jones and McDaid are in their mid-20s, and both of 404 Ink’s publications so far–Nasty Women and the first issue of an eponymous six-monthly literary magazine–have used crowdfunding models. The magazine gets donations through the Patreon subscription service, and the anthology was funded by a Kickstarter campaign that raised nearly four times the £6,000 (US$7,496) initially requested. But the opportunity to raise funds ahead of publication was only part of the appeal, she says. She and Jones also wanted to prove that a publisher could attract the same kind of loyalty as a band. 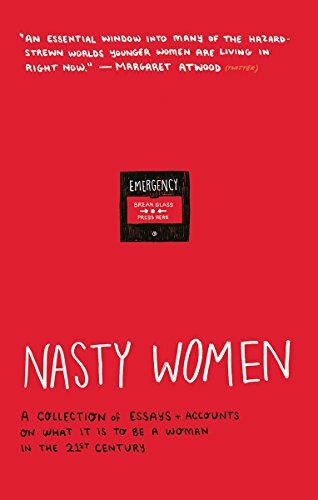 The magazine effort has raised more than $500 per issue, but that’s been dwarfed by the success of Nasty Women, which was inspired by the election of Donald Trump as US president. “We were on this Facebook group for women in publishing the morning after the election,” McDaid says, “and everyone was deflated and angry. Everyone wanted to do something, but no one really knew what, and I just had the idea of doing this book. The essays were delivered in under two weeks, and the book was funded almost as quickly. Reading a proof copy a month later, Atwood described the book on Twitter as ‘an essential window into many of the hazard-strewn worlds younger women are living in right now.’ That blurb adorns the cover. Jones and McDaid are graduates of the publishing masters degree program at Scotland’s Stirling University. “It got us the contacts, and we still refer to our old university notes and our textbooks for the business stuff,” says McDaid. The course proved inspirational in several ways, say McDaid and Jones. For one, it encouraged them to believe that they could start their own business. “It’s terrifying when you’re a student and people talk about starting something up,” says Jones. “It seems beyond your capabilities. After graduation, full-time jobs in publishing proved hard to come by. “If you look at a list of all the publishers in Scotland, we’ve been rejected for jobs by more than half of them,” Jones says. The pair ended up freelancing. Jones and McDaid are quick to express their gratitude for all the support they’ve received from what McDaid describes as the “super-tight” Scottish publishing network. “I don’t think we’d have got very far without everybody helping us out,” says Jones. Creative Scotland provided some initial funding that Jones says “guaranteed the sustainability” of the venture, while Publishing Scotland helped out the pair long before they became members only a week before London Book Fair. They spoke to Publishing Perspectives on Publishing Scotland’s stand at the fair. “It wasn’t just a victory for Saraband, it was a victory for the whole community,” Jones says. The next few months should keep Jones and McDaid busy. A second issue of the magazine releases in May, and will be followed in July by another book, this time a collection of short stories from Glaswegian writer Chris McQueer. The new title gives 404 Ink another opportunity to experiment with funding models that, like Patreon and Kickstarter, combine marketing with revenue creation: they’re selling a ‘preview pamphlet’ of three stories in ebook format ahead of print publication.